A mark of a well-written book is when the reader feels as if he or she was instantly transported into the story's world. A vivid setting, born out of both the author's imagination and sometimes research is a powerful tool in their storytelling wheelhouse, and today I'm here to share five places I am just itching to visit thanks to some amazing novels. Okay, so Maple Valley may not be a real place, but it is one of my favorite fictional worlds born of Melissa Tagg's vivid imagination, her love of Gilmore Girls and what she knows living in Iowa. The photo above is a shot of a studio lot in California--one of Warner Brother's. And if it looks familiar, that's because it's widely known as the beloved town of Stars Hollow, CT, home of the Gilmore Girls, Lorelai and Rory. Another beloved fictional setting of mine. While most of Roseanna White's latest book takes place near Brighton, England, it begins in the Scottish Highlands at the home of Lord Kinnaird, his second wife and daughter, and the daughter from his first marriage and heir, Lady Rowena Kinnaird. The imagery the author used in the chapters set in Scotland was breathtaking and almost, almost for this wanderlusting reader, a distraction from the action and development of the characters. It was that good. Reminded me a lot of this photo above and of the Pixar movie Brave. Yes yes, I've been here. Three times now. But I will never grow tired of this beautiful city of my heart. The photo above is of the Slyder farm and reminds me most of how Liberty Holloway's farm would have looked as described in Jocelyn's amazing (and my favorite of hers!) novel. The town is widely unchanged from how it was in the 1860's despite its scars from the battle and the surrounding farmland and battlefields are wide open living history still. I have not seen enough of Gettysburg nor do I think I ever will. If I could live there, I so would. A city more widely changed from how it was during the Civil War and in Lynn Austin's epic novel that first inspired me to write Civil War fiction, Richmond I have not yet visited and it is near the top of my To Travel list. The photo above shows a sort of skyline as to how it would have been in the 1860's when Caroline Fletcher lived there in Candle in the Darkness. Oddly enough, yes, this Northern Belle is dying to see Richmond, despite the fact it was the capitol of the Confederacy. What, a third Civil War-set novel you ask? Heck yes. 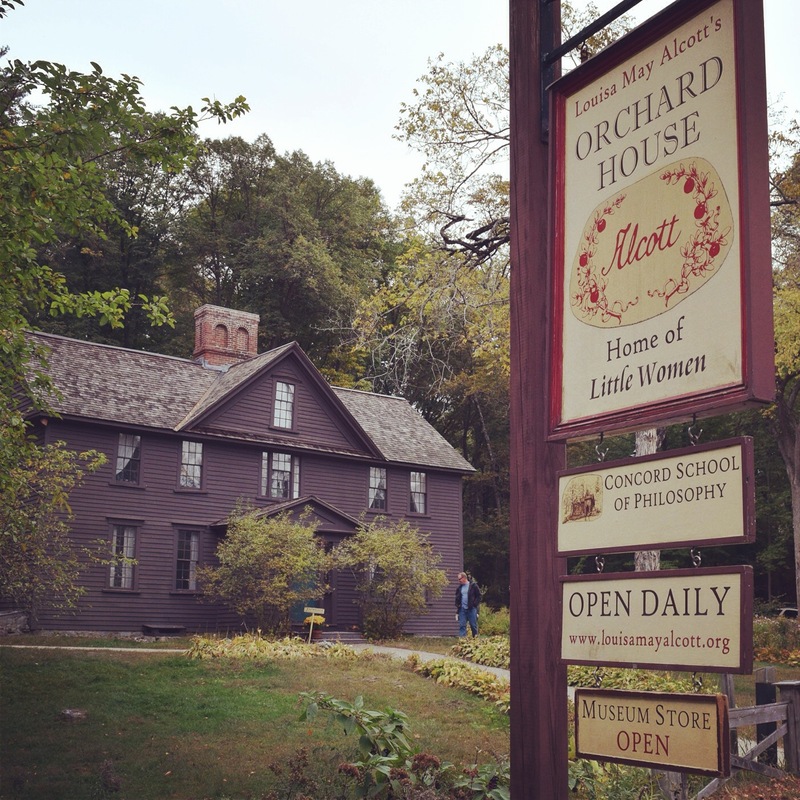 I've made no secret Little Women is my favorite novel ever, and so naturally to visit the town of Concord and especially Orchard House itself is on my bucket list to accomplish before I die. New England, on the whole, is on my list, but especially this historic small town that housed one of my favorite authors and was the inspiration for my favorite novel. What are some places, real or fictional, you would love to visit? What a fun post!! Let's see... I know I've wanted to visit fictional towns before but I can't remember any of them except Prince Edward Island and Avonlea. I used to love the Road to Avonlea show as a child and to this day PEI would be on the top of my list to visit. I think mostly, I would want to visit DURING the era that I'm reading about. Love this post! Thanks for including MV. I love my little made up town. Honestly, if I could visit a fictional place, that's probably the place I'd pick just because my writer brain would explode from the excitement of it. But also Prince Edward Island! That Warner Brothers set looks really familiar—I think it was used in The Waltons too! And oh, my goodness, that Gettysburg farm looks exactly the way I picture the setting of my own Gettysburg short story...talk about happy coincidence. As everybody's been saying, Prince Edward Island, definitely. And I've wanted to go to Chincoteague and Assateague ever since reading Marguerite Henry's books as a kid (I just found out you can literally camp on Assateague right in the midst of the wild pony herds). The places I'd love to see most, though, all involve mountains—Colorado, Montana or Wyoming (because of my favorite Westerns) and Austria (because of The Sound of Music, of course!). My Civil War-related pick would be Lexington, Virginia—the Shenandoah Valley, Stonewall Jackson's grave, all the nearby battlefields and places I've read about most.